In exercise, you might assume that trainers follow best practices, informed by what the peer-reviewed research confirms is safe and effective for trainees over a wide age range. Most of what passes for exercise in commercial gyms is ineffective at best and dangerous at worst. 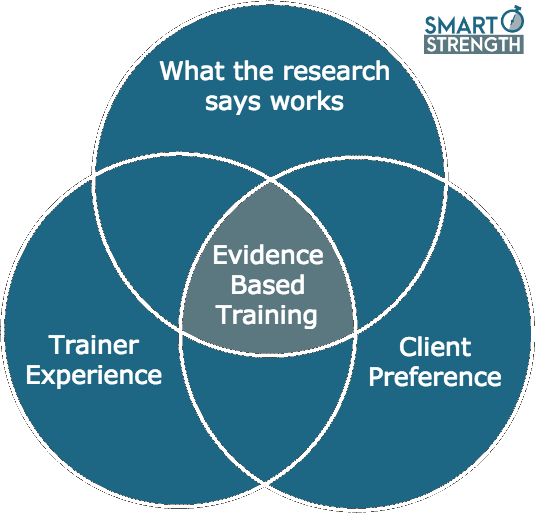 At Smart Strength we practice “Evidence-Based Resistance Training,” but what does that mean? 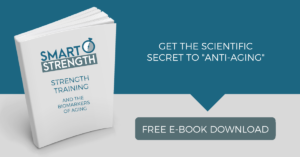 When it comes to resistance training, most things don’t work very well, are dangerous, and have limited ecological validity. So we look for what the literature says works for most people, safely, across their training career. In other words, X works under Y conditions given Z constraints. When it comes to applying training principles that have been proven to work, there’s no one better than an experienced, educated trainer to help you. 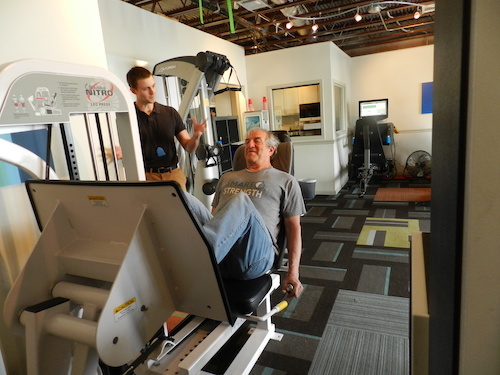 At Smart Strength, we marry university education with a robust continuing education and certification process. This means that our trainers are actual professionals, ready to help clients marry what the research says works for their goals with their affect and circumstances. We’re the experts, but in order to do our job to the best of our ability, client preference is taken into account. If a client does not like the A+, most-effective exercise or method for whatever reason, then a B+ solution is great because long-term adherence is required to make and maintain all of the look great, feel great, perform great benefits of resistance training. At Smart Strength, our expert trainers use their experience to prescribe the safest, most effective exercises and methods to where the client is at to help them look better, feel better, and become the strongest version of themselves. This sets us apart in the crowded fitness landscape!